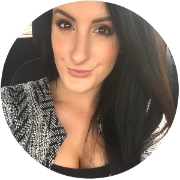 In my makeup routine, coverage tends to get ramped up in Autumn/Winter. But, when my skin is dried out from the bitter weather, I don't want to cover my whole face in layers of heavy foundation. It only ends up making me look about twenty years older than I am, by clinging to any rough areas and exaggerating an uneven texture. Instead, I like to use moisturising bases and choose thicker, full-coverage concealers to do the hard work, hiding any bits that need some extra help. There's a lot of options out there and I've been putting a selection to the test over the past couple of weeks. Bear in mind that I have dehydrated skin that can get quite dry, so if your skin-type is normal or oily, the products will probably perform very differently. 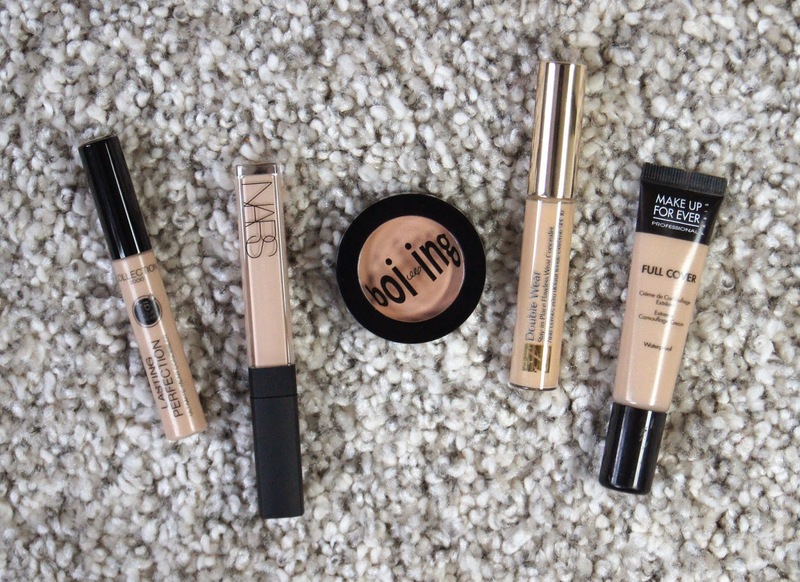 But, I have mentioned which skin-types I feel each concealer will work best with and why. So, which do I rate and which do I slate? POSITIVES: Waterproof, fragrance free & non-comedogenic, hygienic tube. NEGATIVES: Disappointing coverage, needs to be layered. 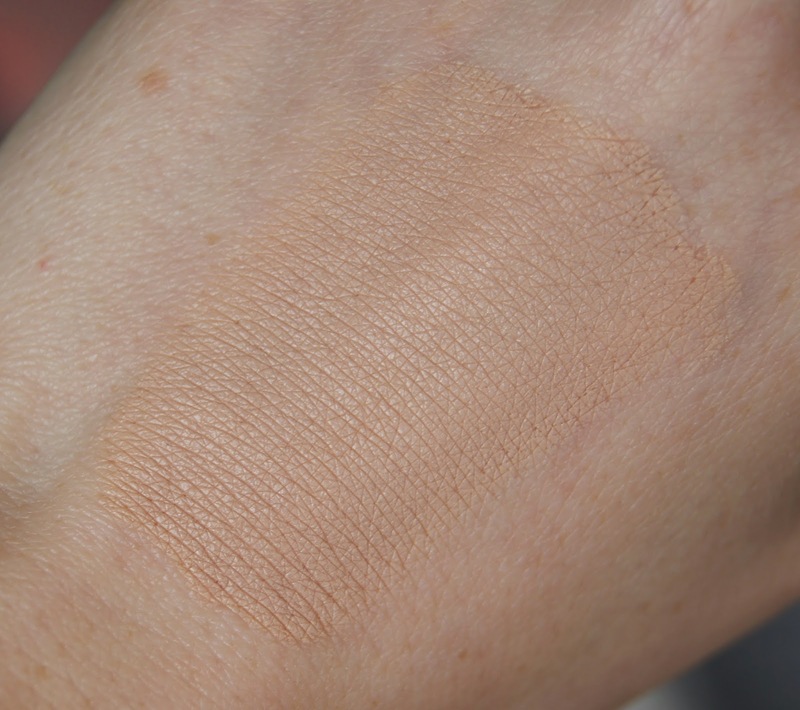 For years, this concealer was my all-time favourite. Compared to the other products featured in this line-up, Estee Lauder's Double Wear Concealer has the wettest texture and feels light on the skin. Very moisturising, this isn't a product that you'd think was part of the Estee Lauder Double Wear range. Spreading easily, this concealer blends so well and allows you plenty of time to build the coverage, without it becoming cakey. It can be used all over the face, but I prefer to use it for covering imperfections, rather than under the eyes, as it can crease and exaggerate lines. It does feel slightly tacky when first applied, but it soon settles and provides a natural-looking, satin finish. By the end of the day, this can start to show signs of minimal wear, but if I blot with powder halfway through the day, it stays looking flawless. Having an SPF of 10, it gives you some added protection, without affecting how you look in flash photographs. Unfortunately, this has the same, strong smell of paint as the original Double Wear foundation, which is off-putting, but bearable. It doesn't last for long, thank goodness! Having a doe-foot applicator, you can dot the product on in precise areas if you wish, but it's not as hygienic as the MUFE packaging. It's impossible to reach the last bit at the bottom of the tube, to, which is a waste. 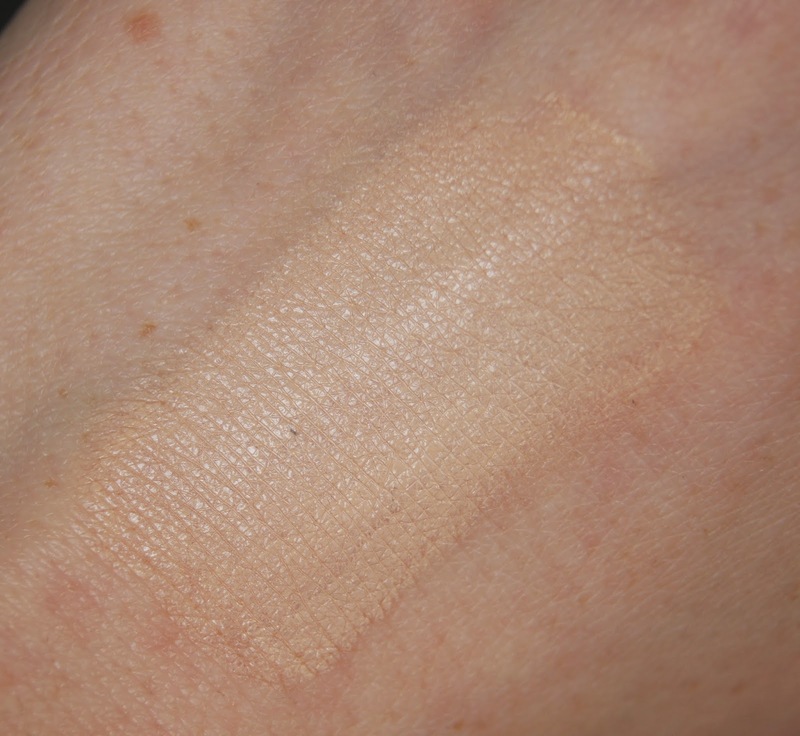 Estee Lauder have eight shades of this concealer, which cover most skin-tones and the colours are more neutral, instead of extremely pink or yellow. Usuually, I consider the brand's price points to be more-or-less on target, but I do think that this concealer is rather expensive. Although, saying that, one tube of this has lasted for about six months when I've used it every day, before now! BEST FOR: All skin-types, except very oily. POSITIVES: Moisturising, feels light on the skin, doesn't cake, natural finish. NEGATIVES: Smells like paint, can crease under the eyes, expensive. Benefit's Boi-ing Concealer is described as, 'industrial strength' and I can agree with that, in more ways that one. For me, this is an under-eye only option. Working like a charm, those bags are gone in seconds. As my shade is quite peachy, the colour counteracts any blue shadows, making you look as though you've just had a solid, eight hours of kip. But unfortunately, that's where the positives end. Despite feeling nice and creamy in the pot, the formula becomes similar to concrete as you attempt to blend it in. Definitely industrial. Whilst I think the camouflaging effect is bloomin' marvelous, the texture is just so dry and hard to work with. 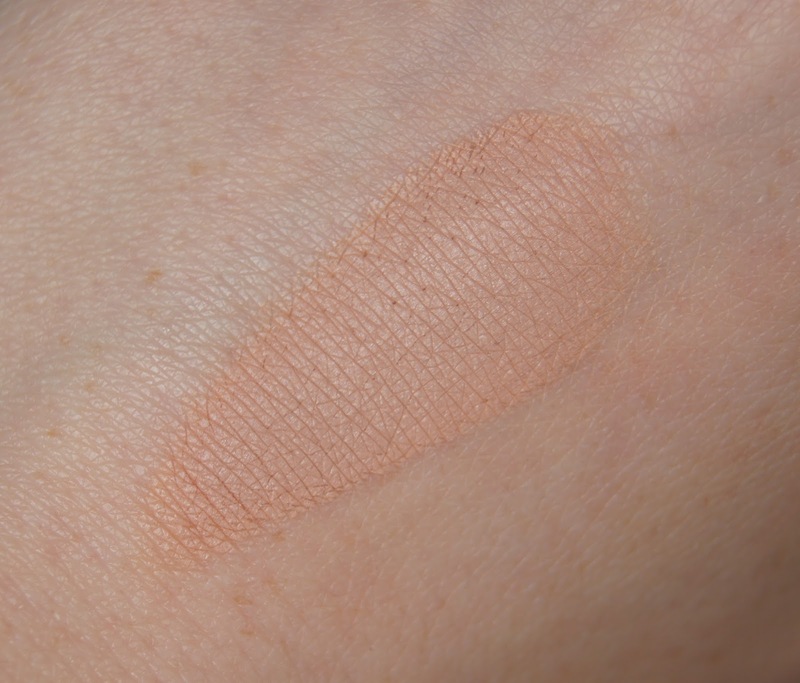 Difficult to blend, this one needs to be patted in, so it melts slightly with the natural warmth from your finger, to get the best finish. If your skin is dry, this will cling to any lumps and bumps, exaggerating blemishes if they're starting to heal. I'd imagine that this could be amazing on oily skins, as it's totally matte. Another downfall of this concealer is the poor packaging. Having a separate, twist-off lid is a faff and can get messy, especially when your fingers are covered in concealer. Dipping your fingers into the pot during use isn't very hygienic either, particularly if you're using it to cover spots. According to Benefit, they'll soon be extending their Boi-ingng shade range, upping their collection from three, to five colour variants. Considering you only get, a frankly shocking, 3g of concealer per pot, this is ridiculously priced at £17.50. To be honest, unless you have oily skin and can find a shade to actually match you, I'd look elsewhere. BEST FOR: Oily skin-types, free from any dryness. POSITIVES: High coverage, peach tone corrects blue shadows under eyes. NEGATIVES: Dry formula, poor packaging, extortionate pricing. 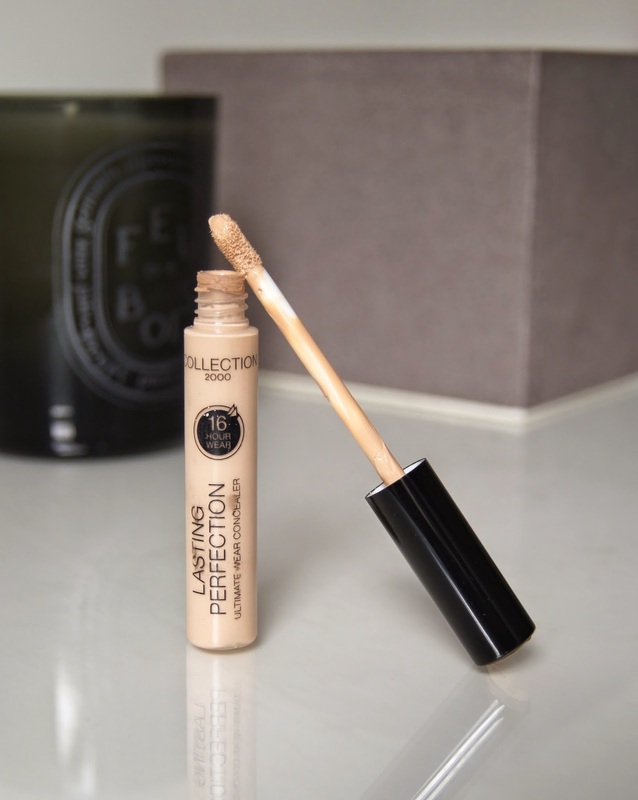 Probably one of the most hyped-up, drugstore products of all time, the Collection Lasting Perfection Concealer is loved by many. The incredible coverage can tackle everything, from under-eye circles, to angry spots. 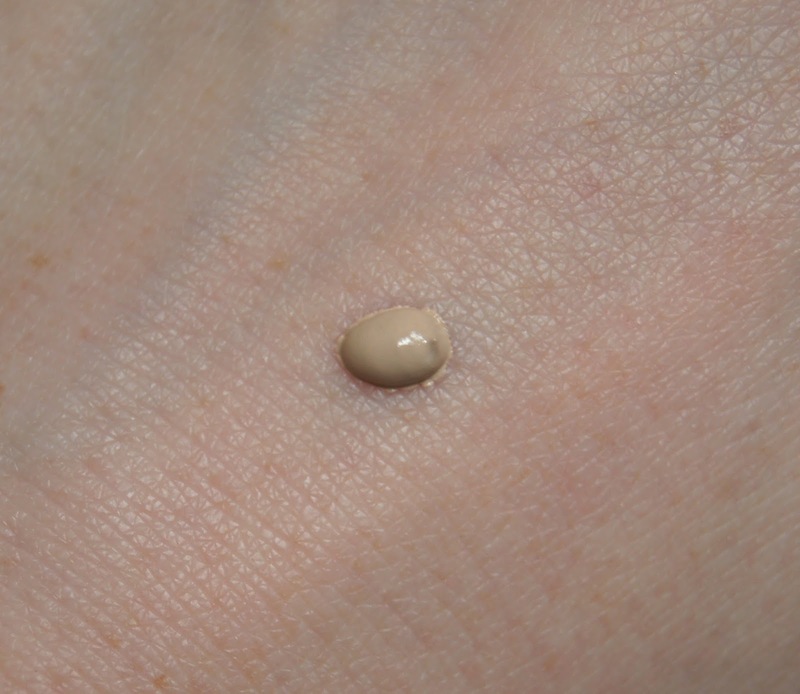 Thick and heavy, this can get cakey on dehydrated and dry skin-types, but it glides on and blends well if skin is free from any flakey patches. If you have oily skin, this will be a total winner for you. 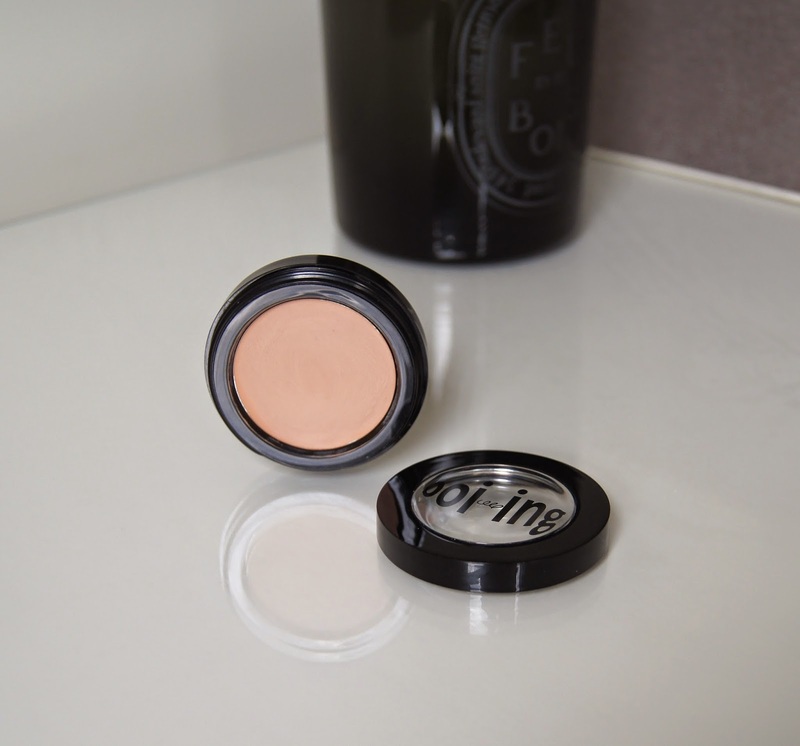 Drying to a matte finish, this concealer is best used sparingly, otherwise things can end up looking a bit flat. Once set on the skin, this goes the distance and doesn't disappear by the end of the day. Collection claim that this has 16-hour wear, which I can well believe, but personally, I wouldn't leave my makeup on for that long to test that theory out. 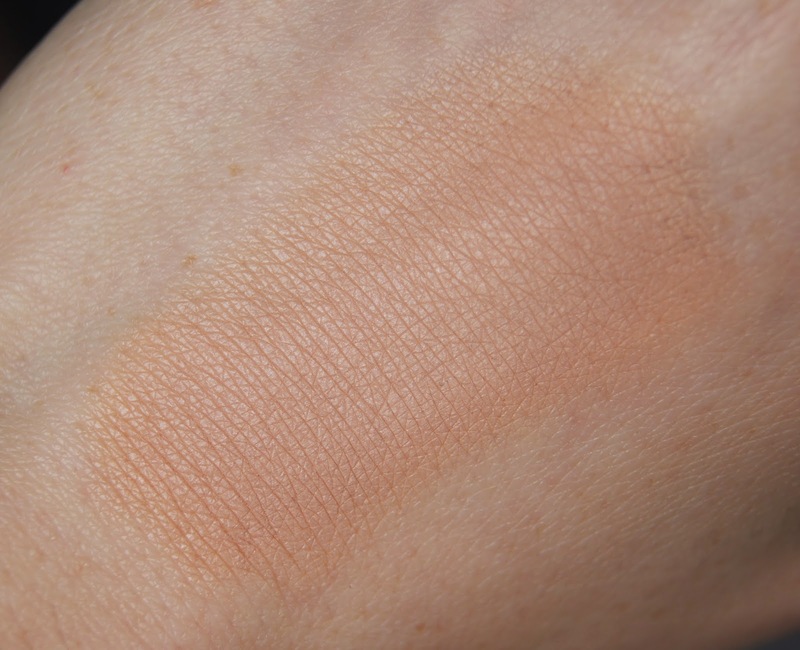 I do find that the shades oxidize and become considerably darker when set and the lighter options lean very pink-toned. Containing no SPF, you can't rely on this product to protect you from the sun. However, that means you won't need to worry about photograph flashback when wearing it, so it's a great, cheap option for special occasions. Priced at just £4.19, this is an absolute bargain, especially as there's usually an offer in Boots or Superdrug, too. Unfortunately, Collection's shade range is poor and, similar to many drugstore brands, they don’t cater for darker skin-tones. 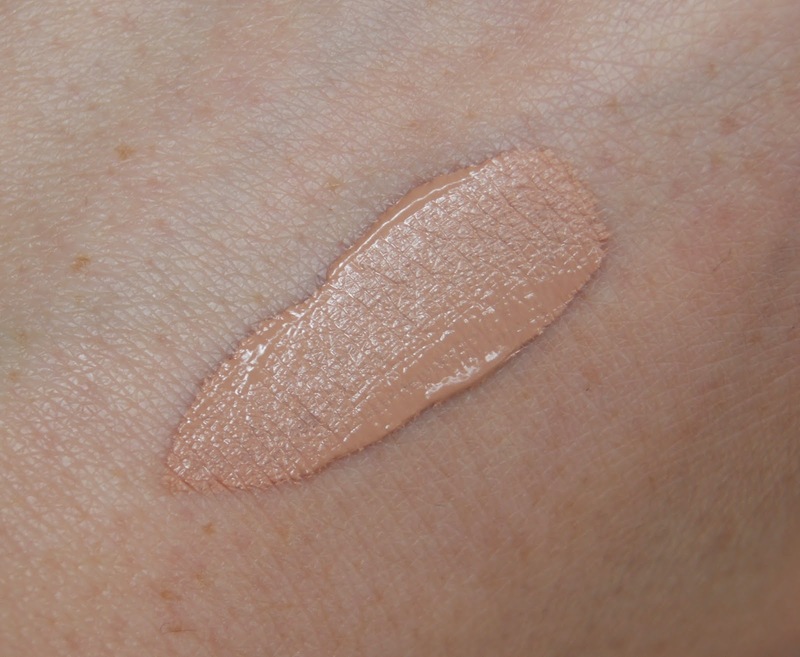 POSITIVES: Insane amount of coverage, totally matte finish, great longevity, cheap. NEGATIVES: Cakey and heavy, shades set darker, poor shade range. 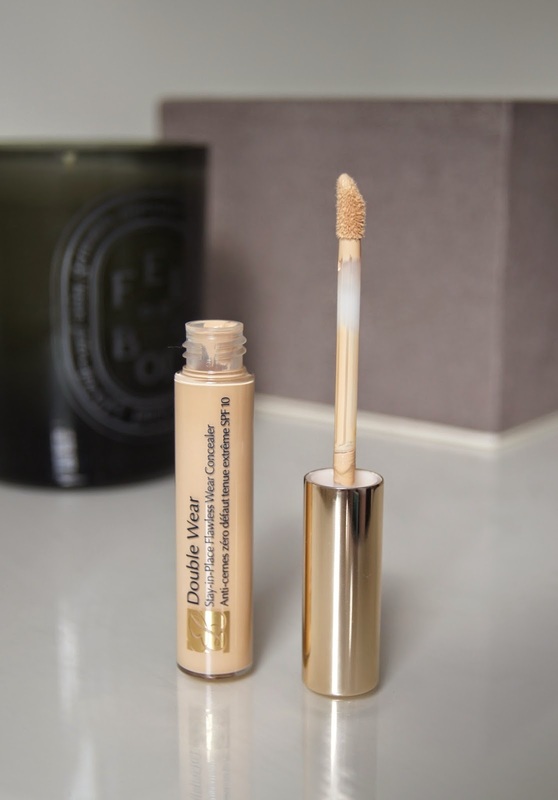 Until this concealer was released, I thought I'd found my holy-grail, in the form of Estee Lauder's Double Wear (mentioned above). 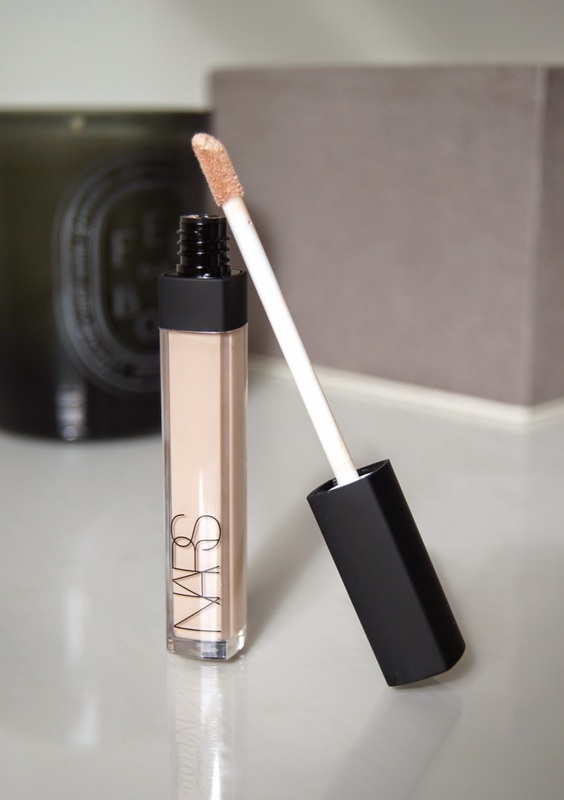 But, one of my all time favourite brands have just cracked it with the Nars Radiant Creamy Concealer. This formula is so darn good, that it can turn any beauty newbie into a makeup maestro. A good all-rounder, it makes light work of blemish burying, adds a highlighting effect and effortlessly hides any under-eye shadows. As the name suggests, the consistency is creamy, but isn't too thick and refuses to look heavy, no matter how much you pile on. Non drying, the formula is so flattering, keeping skin looking like skin, just an improved version of it. Without any noticeable shimmer added in, this product delivers a healthy glow and radiance to the skin. Once set, the finish is like satin, with a beautiful sheen. 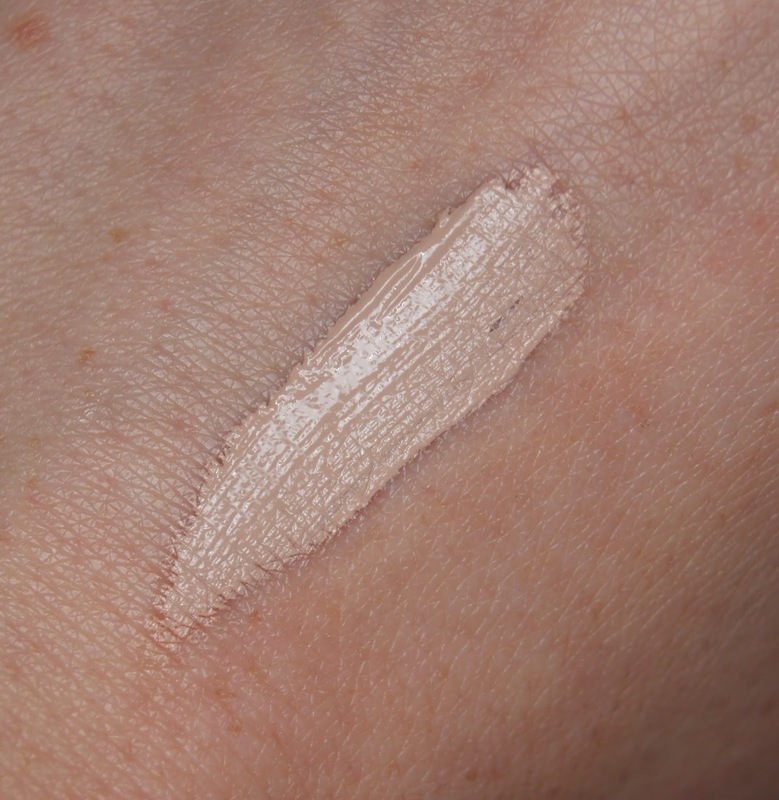 If you don't powder over the top, skin is left dewy-looking, but not offensively shiny or oily. With a light dusting, the edge is taken off, without ridding the skin of all that lustre. Don't be fooled, though, just because it doesn't set as hard as a rock, doesn't mean it won't last. 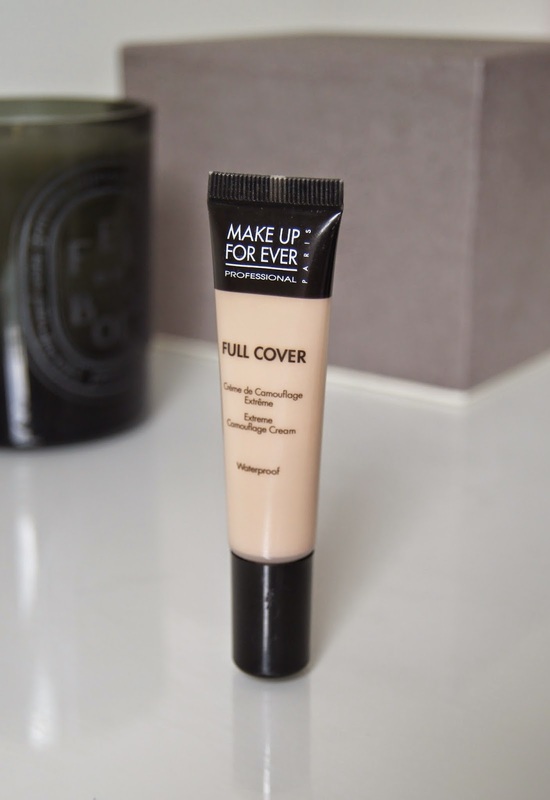 The longevity is amazing and I can rely on this concealer to stay looking flawless for the whole day, without the need to even glance in the mirror. 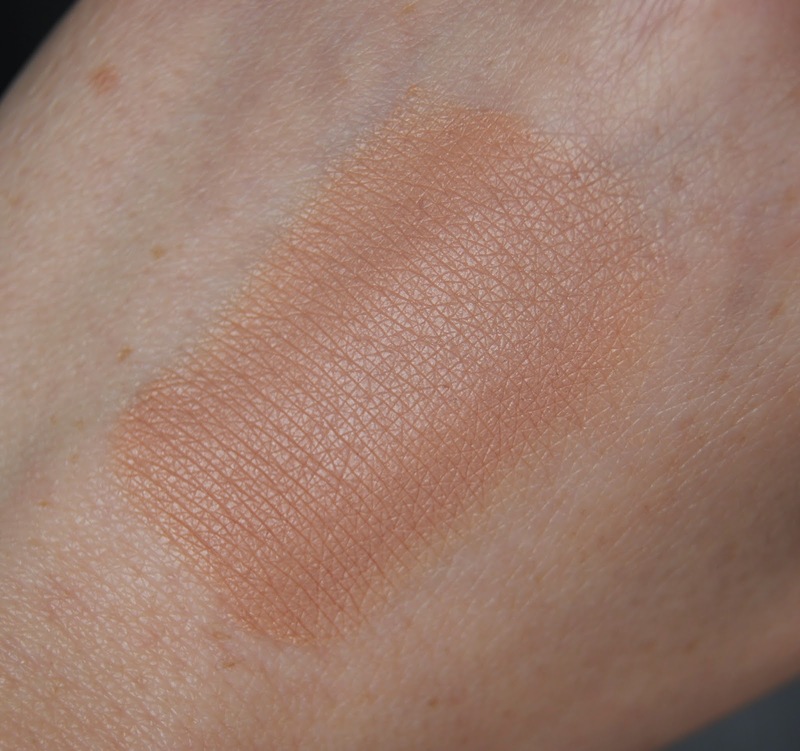 As always with Nars base products, there's a good shade range, although the lighter options tend to be harder to find, as they sell-out regularly. BEST FOR: All skin-types, possibly except for very oily. 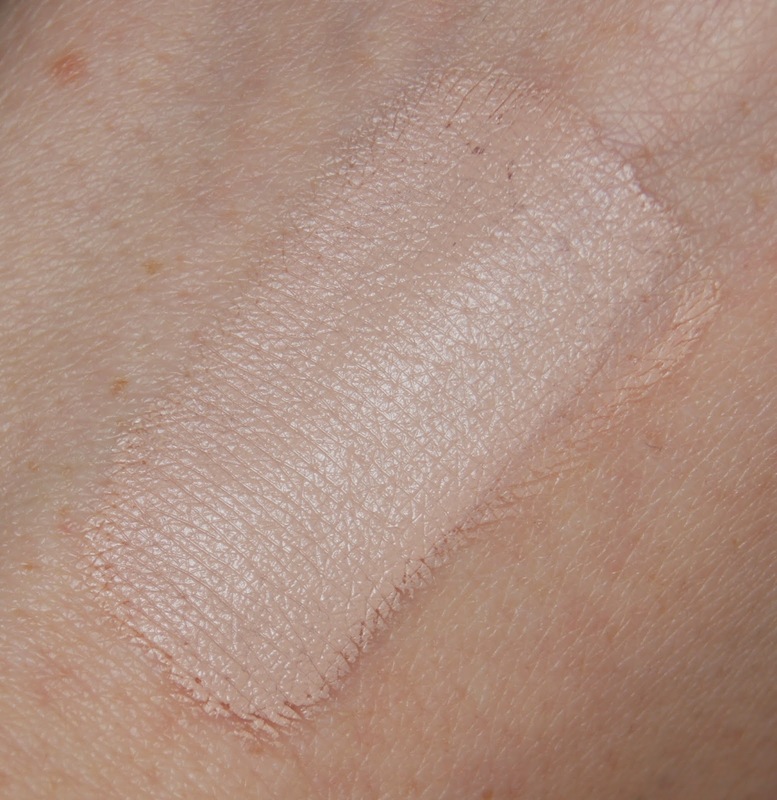 POSITIVES: Creamy, non-drying/cakey, radiant effect, perfect for both blemishes/discolouration and under-eye circles. 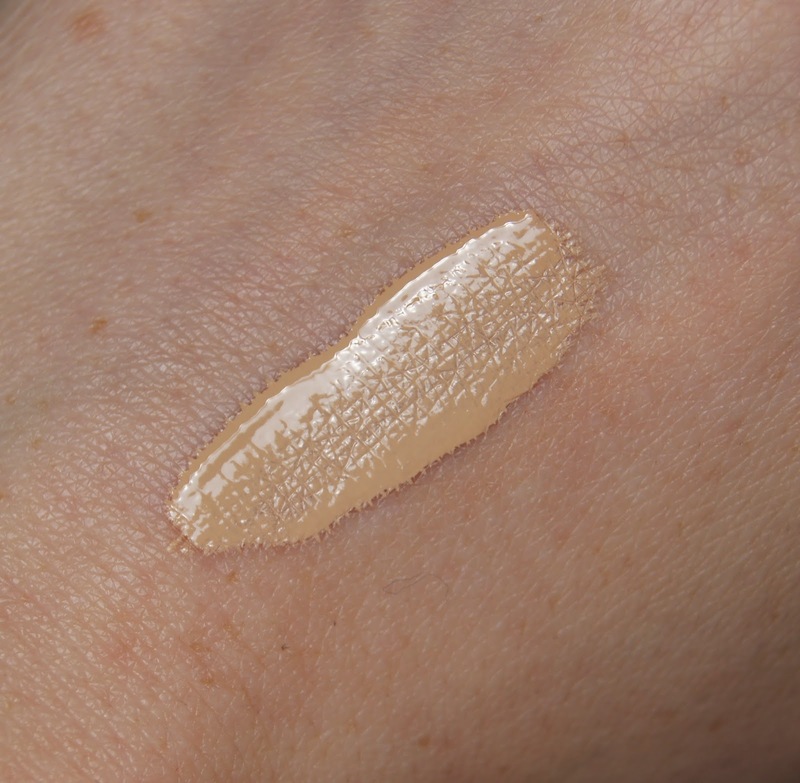 Which full coverage concealers can you rely on when you have a skin emergency? What's your holy-grail, all-time favourite?